If you're lucky enough, the "Mysterious Stranger" will come to your help during your encounters in the wasteland. 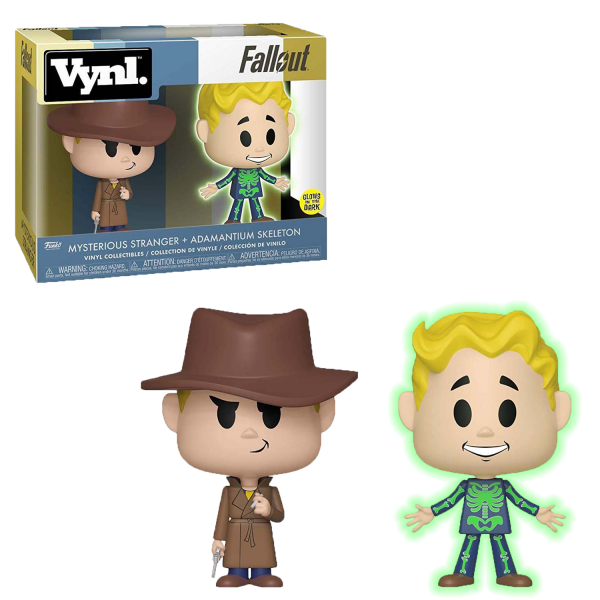 This cute version from Funko's "Vynl" line comes packed together with the "Adamantium Skeleton" Vault Boy that glows in the dark. Put both perks on your desk with these figures that are approx. 10cm tall. Manufactured by Funko.